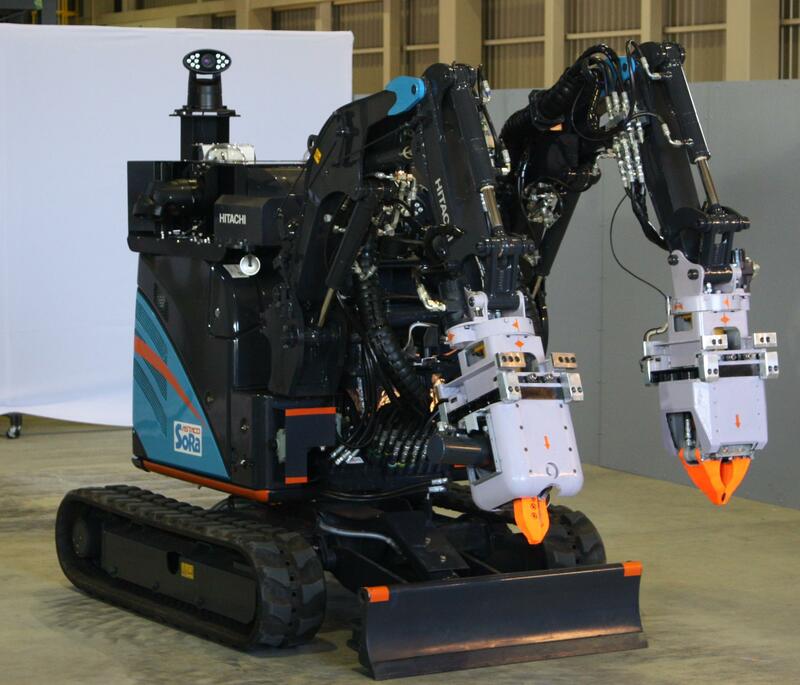 Workers at the Fukushima Daiichi nuclear power plant have been using heavy duty remove control decontamination robots to conduct debris removal operations at the Unit 3 reactor building. Radiation levels inside of the reactor building prevent workers from carrying out the operations directly. Photos released this week show the MEISTeR robot designed by Mitsubishi Heavy Industries, which is equipped with a suction apparatus for cleaning the floors of the reactor building and the ASTACO-SoRa robot designed by Hitachi. The MEISTeR robot cleans debris with its suction equipment which is collected in dust collection drums by the operating unit, which is located in the Main Anti-Earthquake Building. 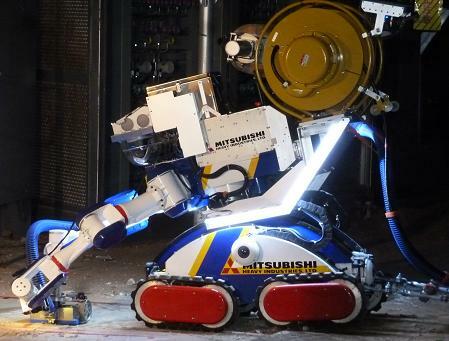 The ASTACO-SoRa robot is used to remove pieces of concrete from the reactor building which were displaced by the explosion, drums, nitrogen cylinders, and other highly radioactive debris from the floors of the reactor building.